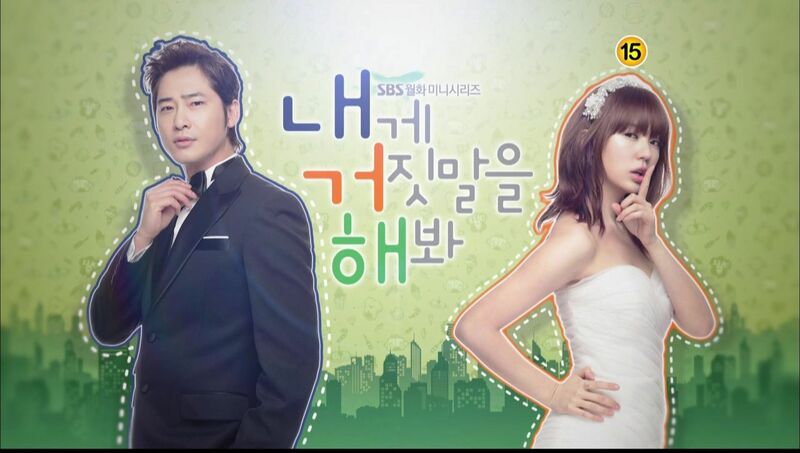 ← Jung So Min is a Beautiful Blushing Bride in Can We Get Married? Chapter 55 is really a long overdue moment for Xu Ping Jun and Meng Jue to talk again. 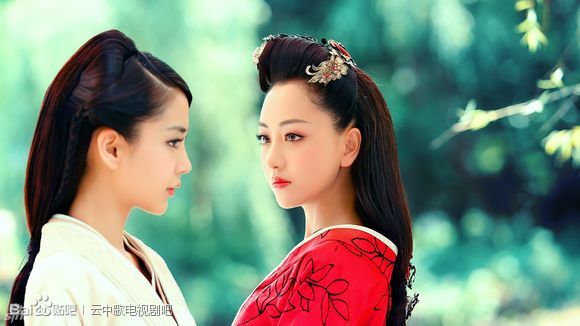 It’s probably been years since these two really had a heart-to-heart, not since a young Xu Ping Jun begged Meng Jue for help so that she didn’t marry her betrothed and could be together with Liu Bing Yi (Liu Xun). What I love in the complexity of Yun Zhong Ge is that the characters truly grow and change during the course of this novel. Yun Ge’s maturation was caused by pain, whereas Xu Ping Jun’s maturation was caused by love. She wanted to be good enough for Liu Bing Yi, and she managed by hard work to learn to read and is currently sitting in the second loftiest spot in the entire dynasty as the Empress. But inside she’s still the same Xu Ping Jun, loyal and quick to anger, fearless and without airs. Of course Yun Ge wasn’t going to die in front of Liu Fu Ling’s tomb, however much it might be romantic in that period drama way where lovers are reunited in death. But if Yun Ge doesn’t die, then how will she handle the truth about Liu Fu Ling’s assassination, and will she continue to blame Meng Jue? Despite Yun Ge’s reasoning in the last chapter, her theory was only half-right, but it’s the rest of what she doesn’t know that will have consequences that reverberate to everyone she cares about – Meng Jue, Xu Ping Jun, and even Liu Xun. This chapter also takes a short walk down memory lane, and as usual I was sniffling through each word I translated. Not to mention it also contains an amazing scene that is a redux of an epic scene in Da Mo Yao between Jiu Ye and Yu Er when he was ill she went to save him. Like father, like mother? So it seems they are also destined to walk the same path. The same moon, the same stars, the same quiet. But the night view in Wei Yang Palace is different than that of an ordinary home. The darkness can cover so much ugliness. Nefarious plots seem to love the darkness. In this Palace, darkness is usually when things happen. The Emperor and his consort trade secret glances in bed. The consorts shoot daggers at each other while changing. The princes toast each other while sharpening their knives under the table…. In this place, smiles are near but true happiness is very far. The body is near but the soul is very far. The beauty is near but kindness is very far. And the ugliness that should be far away is in fact closest here. Ugliness resides under every beautiful visage, under every beaming smile, under every glamorous robe, under ever gentle whisper, under every decorated door. But in the darkness sometimes there is a normal flower. In the evenings in Shu Fang Pavilion, other than not having a man of the house, it was no different than an ordinary home. A kind mother with needle and thread in hand, a son reading his book. Under the warm candle light, Liu Shi laid on the pallet studying while Xu Ping Jun did needle work while keeping an eye on him. “Mom, why are you making clothes for me, why don’t you make an outfit for the soon to arrive little brother or sister?” Liu Shi poured a cup of water for his mother and couldn’t help himself and touched her rounded belly, unable to believe a living being resided there. Liu Shi laughed “Master also said I was growing very fast lately. But the Palace has clothes prepared for me already.” Xu Ping Jun glared at him “Next time you come with mom to the village where I grew up. and hear that there isn’t a son raised there that didn’t wear clothes made by his mother.” Liu Shi smiled and said nothing. Xu Ping Jun finished a sleeve and stretched. Liu Shi was about to get up to rub her back when suddenly there came shouts from outside. Liu Shi furrowed his brows and went to check. 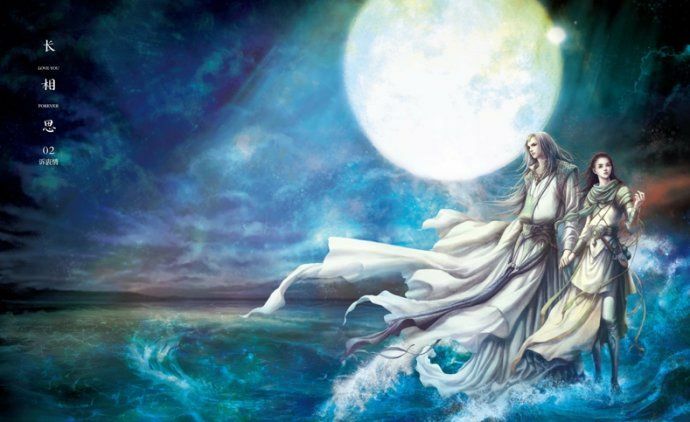 Liu Shi helped his mother on the carriage and told Fu Su “Fast and smooth.” Fu Su drove the carriage out of Wei Yang Palace and into the pouring rain. When they arrived they did not see Yun Ge, only a thick cluster of soldiers crowded around the Imperial Tomb. The dais was covered with blood mixed with rain. Everyone turned around and kneeled one by one. The power of the Empress plus the Crown Prince was great indeed and in seconds everyone was kneeling. On the dais she could see a sword cutting through the air and flashing in the darkness. Xu Ping Jun finally saw Yu An, but Yun Ge…. Yu An was covered completely in blood and the moment he saw her, his entire body toppled forward and Yun Ge appeared from behind him where he was shielding her. Xu Ping Jun spied blood on Yun Ge and she started running. Fu Su grabbed her “Your Highness, you are expecting. Let me go check.” He handed the umbrella to another servant and leaped over the heads of the kneeling soldiers onto the dais. The soldier immediately picked Yu An up and hurried to seek help. When Fu Su picked up the unconscious Yun Ge, he was relieved thinking she was not injured. Then he sensed something was not right because her entire face was bright red. He felt something sticky on her back different than rain. He checked and saw a not small wound. Normally it could be treated but she’s been out here bleeding in the rain, now…. With the sound of the rain as accompaniment, Xu Ping Jun recounted the story with tears in her eyes as the carriage traveled from the present to the past. Because someone invaded Ping Ling at night, Liu Xun was waiting for news in the Palace. He knew the Empress and Crown Prince had left the Palace before their carriage even passed the gates. He also knew Yun Ge was severely injured. Liu Xun calmly acknowledged the news and went back to bed, sleeping soundly in a few minutes. Beside him, Huo Cheng Jun couldn’t sleep at all. She wanted to get up but didn’t dare. She could only close her eyes and feign sleep. She didn’t even dare turn her body around. Finally dawn arrived and Liu Xun went to Court. She quickly sent someone to get the latest news and the person brought back the best news she could hope for. Huo Cheng Jun tamped down her lips to contain her glee. Yun Ge, Yun Ge! You did exactly what you vowed to do! The two of you mutually tormenting each other! “Miss…..” Her maid suddenly changing the way she addressed her, Huo Cheng Jun knew what she wanted and ordered all the other servants out. When they were alone, the maid wondered why after so many years in the Palace she has never conceived while the Empress is on her second child and other Consorts have also bore children for the Emperor. All of Huo Cheng Jun’s happy thoughts were wiped clean instantaneously. She threw all the food on the table on the ground and ordered the maid out. Huo Cheng Jun proceeded to destroy her room and she thought back to every thing that could be done to help her conceive, she tried it over the years. Anything from touching a rock shaped like a man’s part to drinking the urine of a virgin boy to trying every medicinal herb under the sun. As a woman she cannot even do the most basic thing such as get pregnant. Her father’s coldness, her mother’s derision, the pressure of the entire family resting on her. The other Consorts scorn, all the weird looks from the maids…..
How dare Xu Ping Jun have yet another child……… Huo Cheng Jun thought those people might drive her crazy! “I will have a child. I will…..” As she muttered she continued to trash everything in her room. Xu Ping Jun knew deep down that something must’ve happened between Meng Jue and Yun Ge, otherwise Yun Ge wouldn’t invade Ping Ling in the middle of the night. 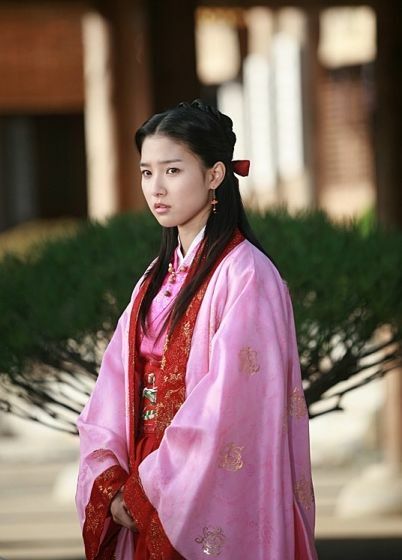 She didn’t want to take Yun Ge back to the Meng Estate, but it wasn’t suitable to bring her into the Palace. She suddenly thought of the old house she used to live with Yun Ge that was still empty. She sent Liu Shi back to the Palace and she took Yun Ge to the old house and summoned the royal physicians there. The three royal physicians sat beside Yun Ge all night in the inner bedroom. She ordered a cot placed in the outer room and she rested there so she could keep watch over Yun Ge. Everytime she got up, the royal physicians would shake their heads at her so she could only quietly go sit back down. The rain outside was getting smaller and was turning into a light pitter patter. In the dark night the sound was like an old man telling a story. She strained to hear but couldn’t hear clearly, only feeling the sadness of the tale from the sound. Xu Ping Jun carefully looked at every nook and cranny of this house, it was exactly like it used to be. The bamboo cup on the bookshelf, the Go board in the corner, the zither on the pallet, and also the panel to the side…..
She remembered Meng Jue sitting in front of the pallet, dressed in all-white, playing the zither under the moonlight. The tree in the yard, during the Summer the four of them would place a table under there and eat and enjoy the breeze. Sometimes Bing Yi and Meng Jue would be so absorbed in their discussions that he would send her next door to bring back more wine. “Ping Jun, go home and bring back more wine.” She furrowed her brows “You still want to drink? This time I didn’t make much that much wine, we still need to sell it……” He drunkenly acted all huffy towards her and said “I am the man of the house and if I tell you to go get it, you go! Go!” But his gestures were like a kid wheedling a parent and begging for affection as he grabbed her by the shoulder and gently rocked her back and forth. This time it was she who stifled a laugh as she shot Yun Ge a look. The happy chatter and the easy laughter, those sounds reverberated in Xu Ping Jun’s ears. Xu Ping Jun thought she really saw them in front of her and she couldn’t help herself and stood up with a smile and walked towards them. Right when she was about to sit down she realized she was standing in an empty courtyard and all that was around her was the morning sun shining through the branches. The sharp sunlight hit her eyes and made her want to cry. She stood underneath the tree and couldn’t understand it. Rain, it stopped. Morning, it came. Yun Ge, she was still not awake. And everything…… they could not go back anymore! Xu Ping Jun didn’t blame them, thanking them and sending them away. She summoned a servant to go fetch Meng Jue. One was that he was a unparallel doctor, the other was to figure out what happened. It appeared Yun Ge’s physical injury was just one part of the problem. Only by knowing what the root of the illness was could it be treated. Ba Yue was too scared to speak up again and she just lowered her face and controlled her anger. Meng Jue quietly said “You can leave now.” Ba Yue quietly left the room. Xu Ping Jun thought but couldn’t figure it out. Meng Jue was brilliant and careful, plus an expert in medicine. Very few people existed who could poison him, much less someone who could poison him and he still kept quiet about it. The only person who caused Ba Yue and those servant girls such anger that they didn’t even dare express was only Yun Ge. Xu Ping Jun was dumbfounded and took her a moment to realize the Emperor that Fu Su was referring to was Liu Fu Ling and not Liu Xun. Once she processed the information her entire body shook. Liu Fu Ling was assassinated? Liu Fu Ling……assassinated? She looked around and saw no one close by and she relaxed. She raised her voice at Fu Su “Do you know what you are talking about” Fu Su kneeled down but his head was now bowed and was staring at Meng Jue with intense hatred “I am not making up nonsense. Master Yu told me himself, Meng Jue used poison to assassinate the former Emperor. He also used Ms. Yun’s illness and snuck the poison in her medicine as well. He is so vicious. Ms. Yun must be so racked with guilt and rage she would rather die…..” Fu Su’s voice caught in his throat and he couldn’t speak anymore. Xu Ping Jun saw Meng Jue’s face was ashen and he said not a word. She went from disbelieving to believing. Such a monumental thing, if Meng Jue didn’t do it, why wouldn’t he speak up and defend himself? When Meng Jue wanted to kill someone, he never thought twice, such as her former fiancee Ouhou’s death, or the death of Hei Zi and that gang…. Meng Jue refused to leave and said “Ping Jun!” with a plead hidden in his voice. Xu Ping Jun ignored him and turned to Fu Su “You get more guards to protect this place. Do not let anyone in or out. If you don’t follow orders, I will punish you.” Fu Su happily said a loud yes and turned to push Meng Jue’s wheelchair out. As he was being pushed out, he used his strength to slow Fu Su down and said “You need to find out what herbs I used to harm…..then you can get angry.” He saw people outside and didn’t dare say more. Fu Su pushed Meng Jue out and returned and kneeled before Xu Ping Jun “Your Highness, we can ask Dr. Chang, who once saved Yun Ge, to come treat her.” Xu Ping Jun nodded and then sighed “Yun Ge’s illness is not physical. Her back wound is not serious. It’s herself……” Xu Ping Jun didn’t dare finish the sentence, that she didn’t want to live anymore. Her heart hurt so much. A woman who has lost her husband, and then lost her child, after finally finding some peace, to learn that her husband was murdered and she was unknowingly embroiled in it and might have even been an unwitting accomplice….. If it was Xu Ping Jun, would she have the courage to open her eyes again? In a split second Xu Ping Jun fainted and was awokened by Fu Su’s frantic calling. She opened her eyes but her breathing was ragged. The royal physician was summoned and chastised Fu Su “How did you take care of the Empress? How did you affect her baby? You…..you…..this might’ve harmed the mother and baby………….” He quickly settled Xu Ping Jun’s agitated state and ordered medicine brewed for her. Xu Ping Jun weakly said “Go to the Meng Estate and get Meng Jue, I want to see him.” Fu Su was stunned and Xu Ping Jun softly said “Hurry, and don’t be disrespectful to him.” Fu Su wiped his tears and took off, but once out of the room he saw Meng Jue sitting in his wheelchair in the courtyard. His face was white and his body was leaning on the side of the wheelchair. His eyes were closed like he was resting or listening. Fu Su took a few steps and he heard the sound and knew the reason. He told Ba Yue “You stay outside and wait for me. I’ll go inside alone.” Fu Su was shocked but went up and pushed his wheelchair into the room. Xu Ping Jun ordered him outside to keep guard and make sure no one entered. “Liu Xun….did he know about what Huo Guang did?” Xu Ping Jun’s entire body was shaking. She knew how powerful Huo Guang was but she didn’t know he was that horrifying that he could start poisoning a 8 year old child and plot to take over the Empire in 20 years. What kind of foresight and planning did that take? No wonder Shang Guan Jie and Xan Hong Yang both ended up dead. How could they ever hope to best such a vicious, cold, and methodical person. No wonder Liu Xun, despite knowing the dangers, insisted on making Liu Shi the Crown Prince right away. Meng Jue was stunned and didn’t have an answer for that. Xu Ping Jun kept crying but her voice was now very cold and eerily calm. “I’m entrusting Yun Ge to you. You have to save her! 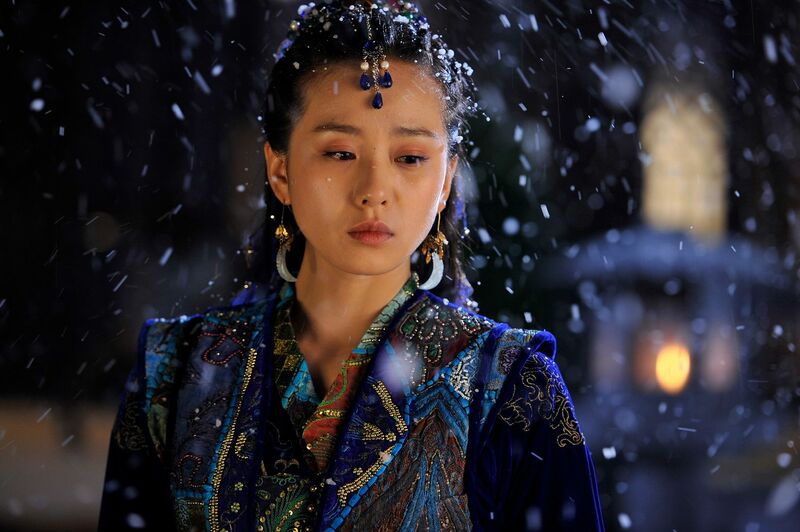 I’m going back to the Palace.” She got up and avoided Meng Jue’s help and called for Fu Su. The Summer sun was the brightest and warmest but she was cold to the bone. In her eyes she could only see gray without any shred of light or warmth. So this is what it feels to be used by the person you love the most. So this is what it feels to have harmed the person you are closest to. So this is the feeling of utter despair. So this is what it feels like to wish for death over the pain of living. Since she was small, she didn’t have a real home. She thought if she worked hard enough to make her mom happy, she would have a home. But no matter what she did, her mother never looked at her. She thought Liu Bing Yi could give her a home. With his bright smile, she could find warmth. She did everything she could to land him, thinking that with him beside her, she would have a home. But she was wrong. Wei Yang Palace was definitely not a home. But at least she once experienced that warmth and she thought she could stay in Shu Fang Pavilion remembering all the happy memories. But she was wrong yet again. It turned out that all those happy memories were all her wishful thinking. She didn’t want to see Liu Xun again. And she had no face to see Yun Ge. In an instant she lost everything she had. Or perhaps the truth was that she never had it to begin with. Where could she go? What place would allow her to rest? After the Empress and Fu Su left along with the royal physicians and servants, Ba Yue knocked on the door and entered when there was no answer. She saw Meng Jue sitting next to Yun Ge’s bed in a daze. Maybe because he was still sick, he looked unusually weary and his brow was tightly furrowed. Ba Yue hurried home to get the flute but couldn’t understand how the flute could have anything do with saving Yun Ge’s life. Meng Jue took the flute in his hands and gave it a once over, his face breaking into a bitter and sad smile. He faced the window and started to play. The moment he started to play, it was like the moon started its ascent in the sky as the flowers were blooming. The entire room was blanketed in a feeling of serenity. The afternoon sun was shining through the windows and Meng Jue’s vivid facial features glittered gold in the light. With a warm Summer breeze coming in through the window, Meng Jue’s black hair billowed in the wind and his sleek long fingers danced over the flute but was so white it was almost translucent. But his dark eyes were filled with warmth and deep emotion. Ba Yue walked out to the courtyard and closed the door. This type of deep love and pleading, even not understanding music she understood it. Even if Yun Ge was asleep she must sense it! Ba Yue felt this tune was familiar but she never heard Master play it before. Sitting on the door jam listening for some time, she suddenly remembered where she heard it. 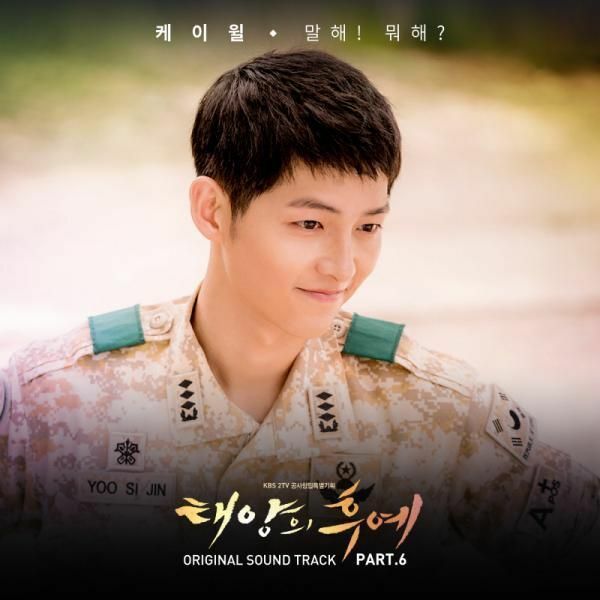 Yun Ge often played this tune in her room on star-filled nights. And she seemed to also use this flute. But her tune was so sorrowful and heavy, whereas Master’s version was calm and peaceful. That is why it took her some time to make the connection. Then Ba Yue’s heart started to hurt. This flute had a seal carved at the end, it was the symbol of the late Emperor Zhao of Han Liu Fu Ling. The tune Yun Ge played must be one that he often played when he was alive. With Master so arrogant and proud, to save Yun Ge he actually was willing to use Liu Fu Ling’s flute and play the tune Liu Fu Ling used to play for Yun Ge. No one knew whether Yun Ge heard this tine or not. Meng Jue didn’t appear to care as he sat by the window and kept playing, never once turning around to look at her. He just sat there and played the tine over and over again. From the afternoon sun to the evening dusk, from the dark night until the sunrise, he kept playing the same tune over and over again. Time appeared to be reflected in him. The righteousness of the light golden hue in the early afternoon, the loneliness of the coming dusk, the arrogant coldness of the moonlight, the steadfastness of the darkest night, the exhaustion of the early morning dawn. The sky, it grew bright, then dark. The changing of the light appeared to remind Meng Jue of his entire life. No matter when, no matter what, he was always alone. Alone in the changing of the dark and the light, searching for the speck of brightness as he walked in the desolate empty world. When the bright sun once again shone through the window, suddenly he tripped over a note and a spurt of blood spilled from his lips and slid down the purple jade flute and landed on his white robe. He paid it no heed and continued to play the flute. After some time, the tune skipped and then continued again. Ba Yue, waiting in the courtyard, rushed inside and saw Meng Jue with blood on his lips. “Master, stop playing!” She wanted to grab the flute but Meng Jue’s eyes stopped her. She turned towards the pallet and looked at Yun Ge “The fever broke! Master…….” She turned around with tears in her eyes and saw that Meng Jue finally stopped and turned around to look at Yun Ge. His face was stark white and his lips were bright red. The purple jade flute in his hand was covered with blood that its original color couldn’t be seen anymore. His expression was so odd, seemingly relieved, seemingly saddened. He stopped and looked at Yun Ge for quite some time before wearily leaning back in the wheelchair and closing his eyes. Ba Yue saw his lips move but couldn’t hear his word so leaned in “……back to the estate. Ask Dr. Chang to treat Yun Ge. Don’t mention I was here. Just say…..the royal physicians saved Yun Ge.” Ba Yue was so angry that he wasn’t staying to see the person he discarded his pride and risked his life to save. Meng Jue had no more strength to talk and merely raised his finger. Ba Yue saw his face turning blue and quickly quieted and pushed him out of the room. Oh, how my heart ache for each of these characters as their life and fate kept interwining… gosh, how much pain and betrayals does one have to endure to acheive happiness. it was so beautifully written so I thank you for sharing and continuing this novel. Thank you so much for posting up the next chapter so soon! I’m curious though, can someone explain what the big deal is about the satchel? I must not have read carefully but did the satchel contain more incense and thus poisoned Liu Fu Ling more? A satchel is an ancient fragrant embroidered pouch that contains sweet smelling herbs and flowers. It’s full name is “fragrant satchel”. Since ancient folks likely had poor hygiene, ladies carried satchels to scent themselves and to smell if they encountered something that smelled bad. The blend of the herbs and flowers in the satchel Liu Xun had Xu Ping Jun make for Yun Ge was able to activate the residual poison in Liu Fu Ling’s body. Because Yun Ge wore the satchel around her waist, and Liu Fu Ling spent all his time with her, that was how Liu Xun was able to harm Liu Fu Ling. Wow! Thanks for the info! I just thought of satchel in the literal sense as in just a small bag. I didn’t know the cultural/historical meaning behind it. So did Liu Xun intentionally harm Liu Fu Ling? Or was it just an accident like how Meng Jue was curing Yun Ge’s cough? He did it on purpose. He wanted to make sure LFL died so that he could be Emperor. He didn’t want to take the risk that LFL would ultimately decide NOT to abdicate. In his mind, who would exchange ruling an Empire for a woman. But sadly, that is what LFL was going to do, and he would have passed the throne to Liu Xun anyways. Thank you ms koala for recapping YZG again…. THIS IS SO GOOD AND SAD OMG WORDS CAN’T DESCRIBE IT <3 THANKS SO MUCH FOR TRANSLATING! Meeting again under the vast sky. Even the chapter title is enough to set me off. This is not even meant to be funny. Ohhh..so sad. Crying here. I just feel sorry for all of them. I don’t know what will happen after this but I really would’ve wished that Yun Ge will know the truth behind Ling Gege’s death so she won’t live with so much hatred for Meng Jue. Sigh. I personally found the above passage particularly striking for the visual images evoked and as a metaphor for MJ’s virtues (and when taken to their extreme, his dominant defects). Thank you, Ms. Koala for your awesome skills and hard work in translating this chapter. After reading MJ’s explanation of LFL’s death, my feelings for MJ have come full circle, from disdain to sorrow/compassion. Thanks so much koala for posting the new chapter.. Poor meng jue again. How big his love is for yun ge. The most antagonist is liu xun. He forgot how liu fu ling restore his name and give him position in court. Instead feeling debts and loyal, he allows greed and ambition to rules him. But being emperor is really dream comes true at that time. Really complicated. Bravo for tong hua to be able to create this beautiful story and thanks for you koala that allows us to know and admire this novel.. Thank you Ms K. The descriptions are beautiful and very evocative. Can’t believe that after all this time, this story is still so much alive for me. Meng Jue’s deep love for Yun Ge is so evident in these later chapters. What is frustrating is why he never confessed his feelings to her. How would she have reacted if she knew how deep his love was. oh my goodness … my heart ached for MJ …. please tell me there’s a happy ending here ? it’s too much to bear …. Now … please please have a happy ending…. Thank you so much for continuing to translate YZG. I went back and read all the other chapters you’d translated…I cried and cried as I read some of them. Thanks again for sharing this beautiful book with us! I stopped reading yzg a while ago because it’s just so painful, so heavy but seeing a new chapter up i couldnt resist it. why is that? yzg is like a drug, its bad for my heart but i couldnt stop wanting more. maybe time has passed so this time i could feel a tiny bit more pity for meng jue. i was so mad at his betrayal earlier that no matter what tong hua wrote in later chapter, i cant bring myself to feel anything for meng jue. are you going to put the rest of the chapters that arent here, here??! !